The Paleo ENSO workshop will be take place from 25 to 30 August 2019 at the Hotel Santika, Belitung Island. 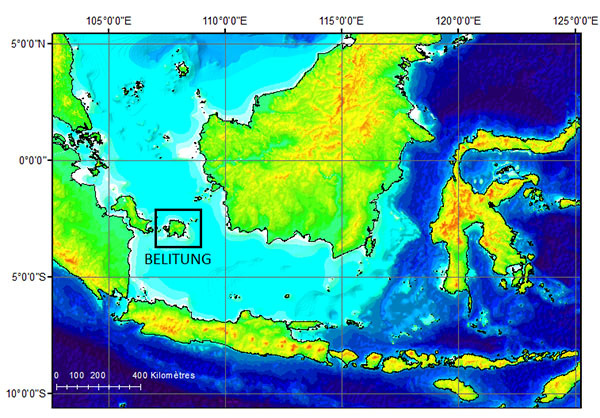 Belitung is located one hour flight from Jakarta. Topic of workshop: A number of climate archives and modelling experiments provide insights into past ENSO variability. The aim of this paleoENSO workshop will be to bring together scientists working on ENSO reconstructions from proxy data and modeling and observational data to discuss recent findings and build a strategy for future studies. The spatial and temporal coverage of each archive is often too sparced to fully explore the response of ENSO to different background states. One aim will be to produce a multi-archive global data set by conducting data - model inter-comparisons. The main focus of the workshop will be the Holocene (the past 10,000 year ago) but with the scope to explore older key periods such as the Last Glacial Maximum (20,000 years ago), previous inter-glacial periods 130-120,000 years ago). Registration: "Register you interest to participate the meeting here"
Funding: PAGES funding is available for early-career researchers and scientists from developing countries.